There isn’t much I love more than an evening in with friends, some wine, and a big beautiful bunch of delicious cheeses. There’s an art to putting together a perfect cheese board, don’t you think? It’s not just in what you choose but in how you present it, and when it all comes together it’s one of my very favourite ways to entertain (not to mention a quick and simple way to wow your guests!). 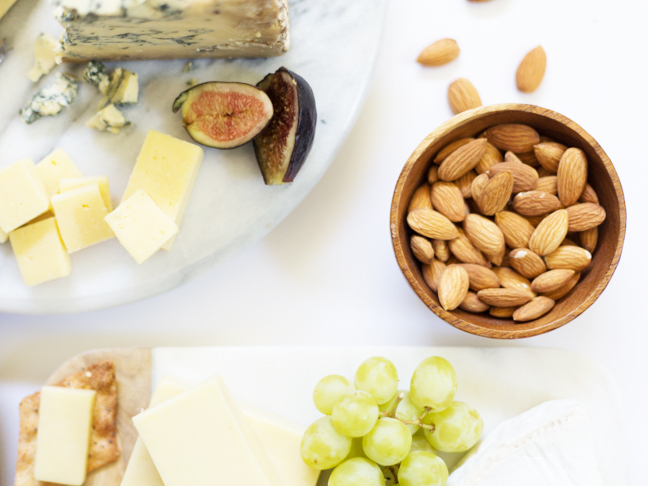 Read on for a few of our best tips and tricks for how to build a cheese board for your next gathering. Pick a pretty platter. 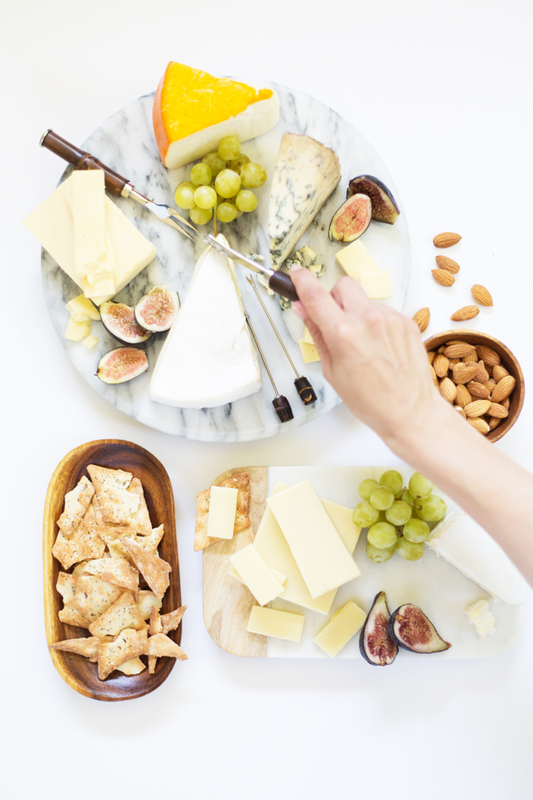 Just the simple act of using a gorgeous platter or tray immediately ups your cheese board game! I love to use a marble Lazy Susan—the colours and textures are so pretty, and the rotation makes it super functional. 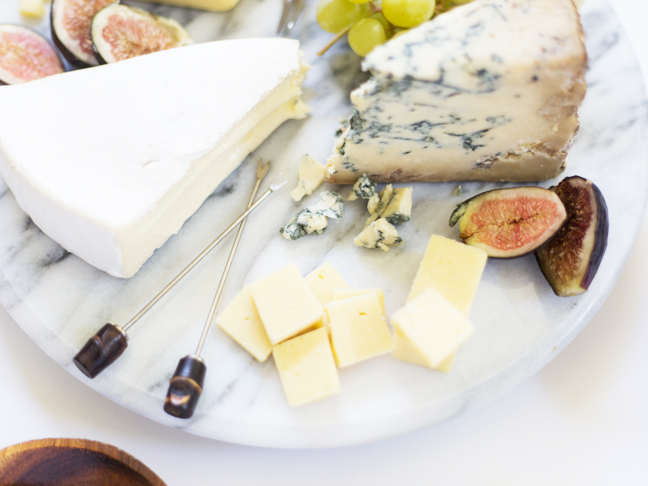 If your platter is a bit too small, use a few smaller plates or dishes around the edges…like a cheese annex! Just be sure to leave a little space between your cheeses so that the flavours don’t mix. Include the right tools. Set out an array of cheese utensils for your guests! If you don’t have specific cheese knives or forks, try including any smallish utensils that you might have. Go cheese crazy. This is the fun part! Pick a selection of cheeses that you and your guests will love. Try to include at least three different types of cheese for a bit of variety. 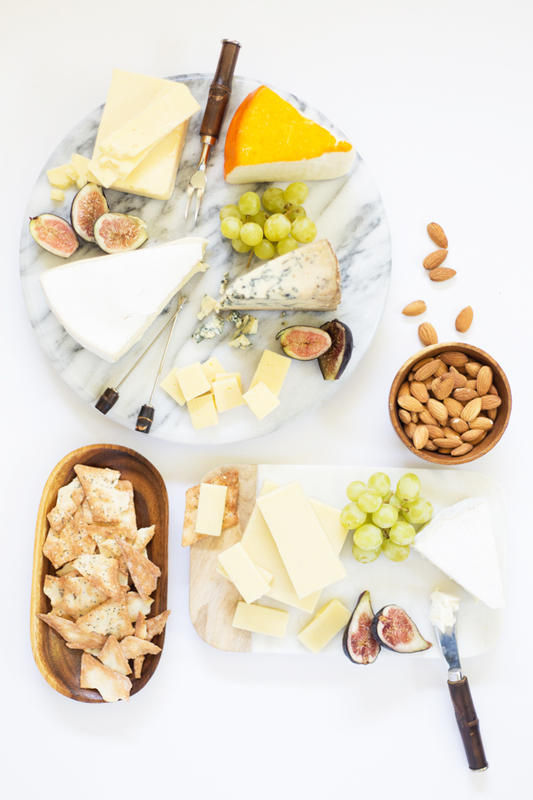 Choose cheeses that both contrast and complement each other; including different textures, colours and flavours will ensure that your cheese board is well rounded. Pair stronger flavours with milder ones to make sure there’s something for everyone. I love to include a Brie (always a hit!) 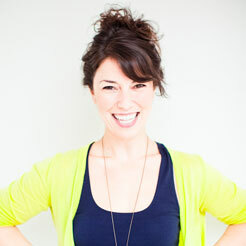 and pair it with a harder cheese like a simple Cheddar or a tangy, crumbly blue. Other crowd favourites like Camembert are a good idea. It’s also fun to introduce something that might not usually make a party appearance, like a Port-Royal for a little colour. Add some extras. 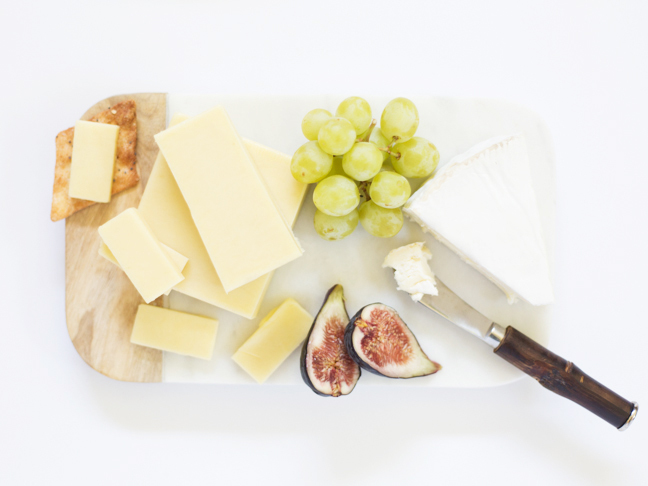 Dress up your cheese board with some goodies to eat alongside your cheese! Start with some breads or crackers—light breads go well with mild or medium cheeses, while stronger breads like rye pair perfectly with stronger cheeses. Some pretty fruit will not only pair well with the cheese but will make your board beautiful to boot! I love sprinkling around a few figs or grapes. And finally, add some nuts for a little crunch. Be well stocked. Finally, make sure you’ve got enough cheese for your guests. 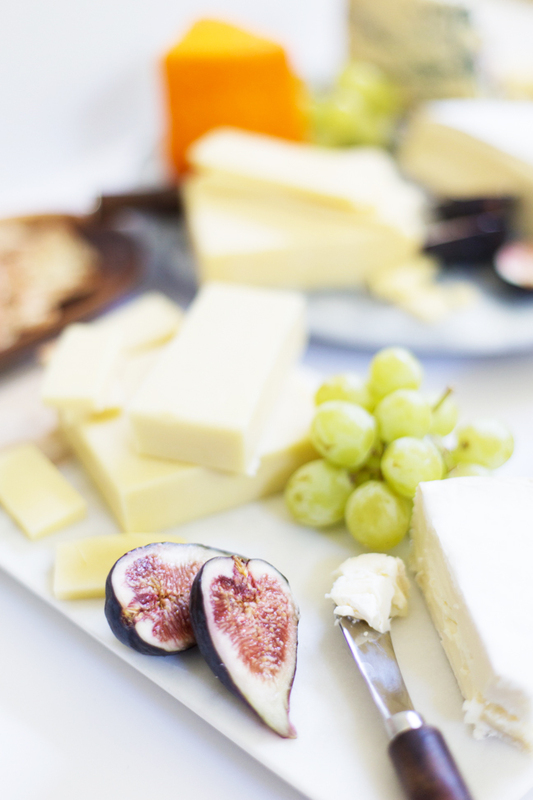 If you’re having a wine and cheese evening with no meal, about 150 grams of cheese per person is a fair estimate. If you’re serving cheese before dinner, about 80 grams per person will do the trick. All that’s left is to add a few friends and enjoy! Cheers!